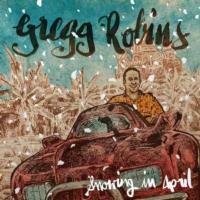 Singer/songwriter Gregg Robins is releasing an album of demos entitled “Snowing In April.” The nine-song release is the follow-up to his acclaimed debut “Everything That Matters” and takes a simpler, but effective approach to his songs. The album begins with the title-song, “Snowing In April” as he describes his time in Moscow, but can also be related to places in the U.S. as this past winter broke records for snowfall amounts. His Cat Stevens sounding vocals in “You're Not Far” gives the already meaningful song extra warmth. Gregg shares the vocal duties with Remy Sepetoski on this lovely duet, but it’s the upbeat “How Lucky” and “Sanibel” that Gregg portrays the fun he has in performing acoustically. The album contains the beautiful bonus song “Believe,” written in 2011 and features Gregg’s daughter on vocals. For more information on the latest from Gregg Robins, please visit greggrobins.com.